Welcome to www.theapollobox.com (the “Site” or "We"). This Site is operated by Apollo Box, Inc. (“Apollo Box” or “Company”). YOU ACCEPT THAT BY ACCESSING OR USING ANY PART OF THE SITE, YOU ARE AT LEAST 18 YEARS OLD, OR YOU ARE VISITING THE SITE UNDER THE SUPERVISION OF A PARENT OR GUARDIAN, AND YOU ARE LEGALLY ABLE TO ENTER INTO A CONTRACT. You may use the Site only for your own noncommercial personal use and in compliance with these Terms. Unless permitted by Apollo Box, you shall not reproduce, copy, distribute, sell, lease, modify, translate the contents of this site or any part of this site. You are responsible for your all your own communications. You should not upload, download, post, email or otherwise transmit any materials that violate or infringe on the copyrights, patents, trademarks, or other proprietary rights of any company or person. Apollo Box reserves the right to stop service, terminate accounts, or cancel any pending order if we believe a client has violated any applicable terms or laws. You are solely responsible for protecting your own account and password and you are solely responsible for all use of this site by anyone utilizing your account and password. We advise you to notify Apollo Box immediately of any unauthorized use of your account and password. To protect our customers and the site from fraud or unauthorized or illegal activity, we may screen all received orders. We reserve the right to refuse to process an order if we believe it is involves fraudulent, unauthorized, or illegal activity with or without notice. We also reserve the right to refuse to ship products to certain addresses/PO Boxes if we believe that they are possibly fraudulent, unauthorized, or involved in illegal activity. Apollo Box strives to ensure that the information on the Site is correct, complete and reliable. However, certain information might contain errors or inaccuracies, which we may feel free to correct at any time without any liability. We reserve the right to change, modify, cancel, or revise an order if it is placed for products listed at an incorrect price or with incorrect information. We may limit the quantities members can purchase for certain products. We do not guarantee that all products displayed on the Site will be available. Your total price will include any applicable sales tax. This Site may be accessible from other countries outside the United States and Canada. We do not support international shipment outside the United States and Canada at this moment. Apollo Box makes efforts to ensure we have the right products on the right prices for you, but we do not guarantee that every item we introduce to you will comply with your preferences. And, each manufacturer of the product is solely responsible for the quality and warranty of its products. If you have any problems with a product, you can first contact Apollo Box at contact@theapollobox.com. We will try to solve your problem or direct you to the right person or office to handle it, but this implies no liability on our part for your dissatisfaction. Cancellation is easy, log into your account and select follow the procedure. Or you can give us a call and we will do it for you. Apollo Box respects the intellectual property of others. If you believe that any materials on this Site infringes your work, please contact us. Your feedback is always welcome. You can send your feedback to contact@theapollobox.com. 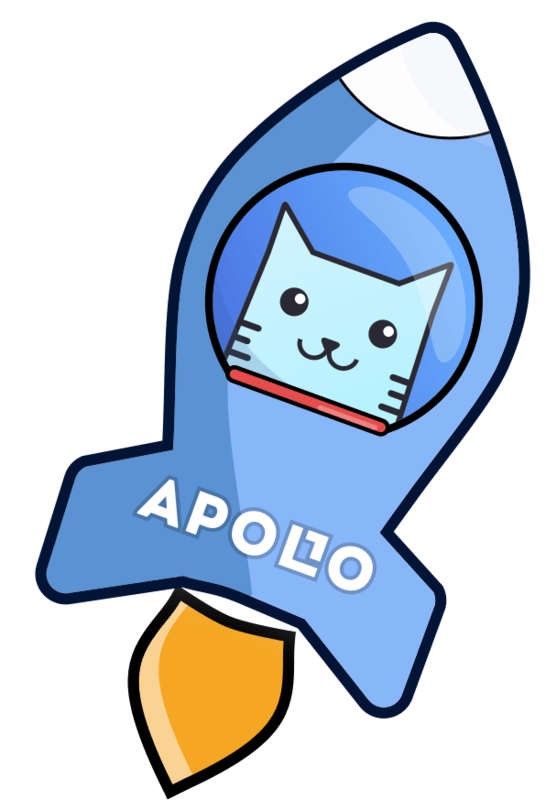 By submitting or sending any content to our Site or to us you grant Apollo Box a perpetual, irrevocable, non-terminable, worldwide, royalty-free and non-exclusive license to use, copy, distribute, publicly display, modify, create derivative works, and sublicense such materials or any part of such materials. You hereby represent and agree that you will be solely responsible for any materials you submit or send to us. Apollo Box is entitled to use any content submitted by you without you maintaining any rights of confidentiality, of attribution, or of compensation to you. There is no guarantee that we will post or respond to the materials you submit or attempt to post. You assume all responsibility and risk with respect to your use of our Site. The site, and all its content, products, information are provided by Apollo Box on an "as is" and "as available" basis without warranties of any kind. Apollo Box disclaims all warranties, express or implied, including but not limited to, implied warranties of merchantability and fitness for a particular purpose, noninfringement, title, quiet enjoyment, information accuracy and system integration, security. Apollo Box makes no warranties of any kind regarding any third party no-Apollo Box sites to which you may be directed or hyperlinked from this Site. To the maximum extent permitted by law, Apollo Box will not be liable for any damages of any kind caused by the use of this site, including, but not limited to indirect, incidental, punitive, exemplary, special, or consequential damages. Any product purchased from our Site will be shipped and delivered by a third party carrier. As a result, Apollo Box has no liability for any title and or for the risk of loss after our delivery to the carrier. If any portion of the Terms shall be held or declared to be invalid or unenforceable under any applicable statute or any rules, such provision shall not affect any other part of the Terms. The remaining provisions of these Terms shall in no way be impaired or affected. The failure of Apollo Box to partially or fully exercise any rights or the waiver of Apollo Box of any breach of these Terms and Conditions by you shall not prevent a subsequent exercise of such right by Apollo Box or be deemed as a waiver by Apollo Box of any subsequent breach by you of the same or any other term of these Terms. The rights and remedies of Apollo Box under these Terms and any other applicable agreement between you and Apollo Box shall be cumulative, and the exercise of any such right or remedy shall not limit Apollo Box’s right to exercise any other right or remedy. If there is any dispute between you and Apollo Box, it is agreed that either of us may elect to have it resolved by proceeding in small claims court or by binding arbitration administered by the National Arbitration Forum, the American Arbitration Association, or JAMS under their rules for consumer arbitrations. You and Apollo Box agree that each may only bring claims against the other only in your or its individual capacity, and not as a plaintiff or class member in any purported class or representative proceeding. Additionally, without the agreement from both you and Apollo Box, the arbitrator may not consolidate more than one person's claims with your claims, and may not preside over any form of a representative or class proceeding. You acknowledge and agree that you may not have access to a court or jury. Questions: Should you have any aditional questions regarding these Terms you may contact us at contact@theapollobox.com.